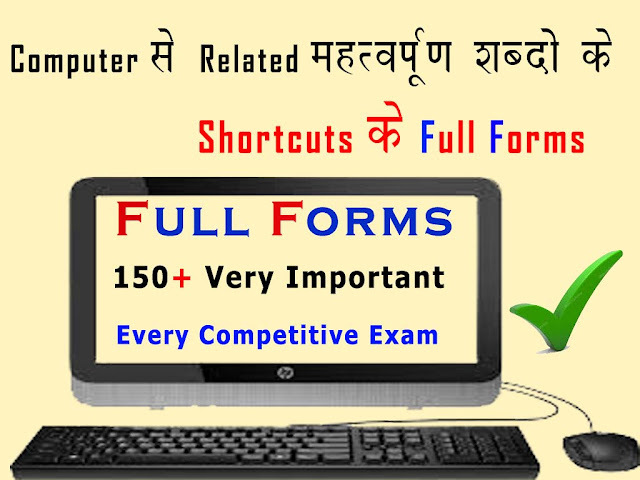 Computer की फुल फॉर्म क्या है ? 3G -Third generation wireless networking technology. ADG - Analog Digital Converter. ALU - Arithmetic logic Unit. ATM - Automatic Teller Machine. BASIC - Beginner's All Purpose Symbolic Instruction Code. BIOS - Basic Input Output System. BSNL - Bharat Sanchar Nigam Limited. CAM - Computer Aided Manufacturing . CD ROM - Compact Disc Read Only Memory. CD RW - Compact Disc Read And Right. CPU - Central Processing Unit. COBOL - Common Business Oriented Language. D RAM - Dynamic ram. DAC - Digital Analog Converter. DBMS - Database Management System. DVD - Digital Versatile Disc. DND - Domain Name System. DCL - Digital Command language. DOC - Document (Microsoft Corporation). EDP - Electronic Data Processing. E- COMMERCE - Electronic Commerce. E-PROM- Erasable Programmable Read Only Memory. EBCDIC - Extended Binary Coded Decimal Interchange Code. KIPS -Knowledge information processing system. VSNL -Videsh sanchar nigam limited.